Short post alert! Aren’t you lucky? I know that these have been brutal. But hey – that’s why not everyone has a premiership club! After a club ranks/scores their players, they need to prioritise. In general, the ones should trump twos, threes should trump fives, 4As should trump 4Bs. But there is a grey area: your next premiership. Know that you know what life cycle stage your club is at, you’ll easily be able to tell how long it might be until you’re in a position to win a grand final. Take a look at your list a figure out who is going to be around for your next grand final. There are a few ways to decide if they’ll be around: age, injuries and contract length. Before you build a premiership club, you need to know your club as it currently is. So in this step, you need to understand the difference between your short, medium and long term goals and make sure you have the right people to fight for every aspect of each of them. Call it a mission statement, a vision, a driving force… you need to identify it and you need people who are going to fight for it. While some clubs may have similar goals (for instance, every clubs goal is to win games, win premierships and make dolla dolla bills, y’all), the time restraints for these goals and how they will be accomplished for each. For instance, the goal of ‘win a premiership’ might be a short term goal for Hawthorn, a medium term goal for North Melbourne and a long term goal for Melbourne. It depends where you’re at in your life cycle. So first thing: Set some goals. Make it a group thing. Get all the big guns in with you and fight out your priorities. It’s not going to be fun, but it has to happen. So what do I mean by goals? Here’s a few examples. How To Create A Premiership Club: (1) Identify Where Your Club Is In Its Life-Cycle. The first step in creating our premiership team. How excited are you? So. Identifying where your club is in its life-cycle. Let’s go. Introducing: How To Create A Premiership Club, The Series. Well, I’ll tell you. Because I’ve been somewhere good (at least, I think it’s good – I hope you agree). I have been working on a series. A LONG series. A series on how to create a premiership team. In the interest of not keeping you waiting (I HATE waiting) I’ll give you the steps now and you can read them as you like. I plan on posting on a week but if I have to go every two weeks… so be it. If there is one thing EVERYONE in sport cares about, it’s winning. Everyone who has ever played a sport wants to win and everyone who supports a team wants their team to win. How do you accomplish that? By creating a great team. And I know how to do that. Here it is. Each week, I’ll go more in depth about each of these steps. Open for discussion, as per usual. And after this series, we’ll talk about how to identify talent. Full disclaimer? This series is geared toward AFL, but can be applicable, I think, for all sports. You let me know if you think differently. But for now, brace yo’self. I really like this series. Andrew Demetriou Resigns And I Lose My Nerve. The reign is over. 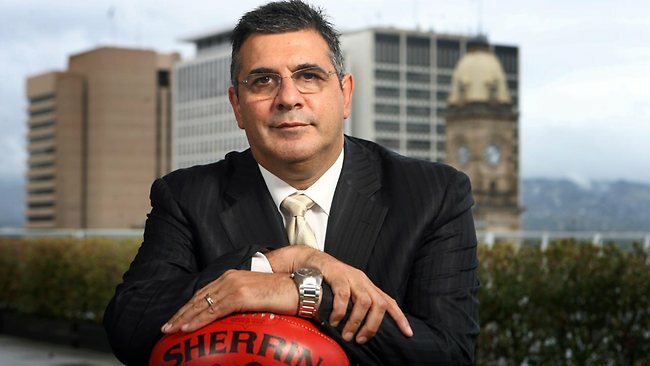 Andrew Demetriou will leave the AFL after this season. So how are we all feeling about this? Well, I don’t know how you’re feeling but I’ll tell you how I’m feeling. Sorta. Now, I know we’ve talked about how I have strong opinions and we all know you should never bash your employer on social media (not that the AFL is my employer… at the moment) so I’m not going to.